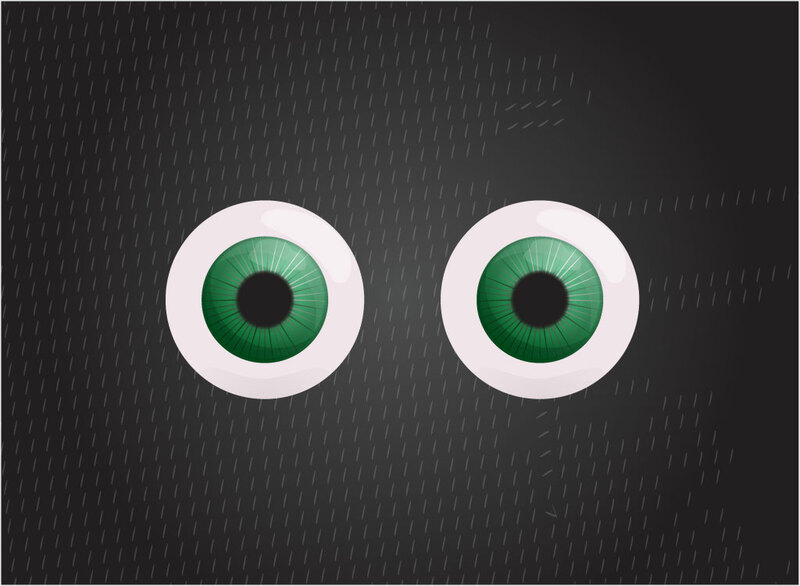 Cartoon vector eyeballs with an emerald green iris and great shadows and highlights that give them that spherical look. These cool graphics remind you of Mars Attacks or some other science fiction creature. This free Illustrator download could also work well with a comic illustration, logo or as an icon. Tags: Anatomy, Iris, Lens, Macro, Optic, Pupil, Sight, Sphere, View, Vision.